Cat sleeping pills are specially formulated just for felines. One readily available medication that can be purchased online is Acepromazine. This tranquilizer is often used on cats prior to surgery because it has sedative effects and it also prevents vomiting. However, other cat sleeping medicine is available on the market as well. Some desperate pet parents choose to give their cat human sleeping pills in lieu of cat sleeping pills. This is never a good idea. Cat sleep cycles are very different from human sleep cycles. Not only can human sleeping pills seriously disturb your cat’s natural sleeping patterns, they can also cause many harmful medical problems as well. Is a Cat Sleeping Pill Safe to Use on My Feline? In most cases, specially formulated cat sleeping pills are perfectly safe to use on your feline. However, you should consider the reason why you’re considering sleeping pills before you give any to your cat. Are you giving your cat sleeping pills to enhance the quality of your cat’s life, or are you giving your cat the pills in order to make life easier for your family? Cats are naturally most active between dusk and dawn, so you shouldn’t medicate your cat just so you can get a good night’s sleep. Fortunately, there are many safe, natural alternatives to cat sleeping pills that have no side effects. Instead of medicating your cat to make him tired in the evening, make sure you wear him out with a little playtime. Use a laser pointer, interactive toy, or a cat wand to get your cat running through the house and he’ll be more likely to rest soundly. Switching up your cat’s feeding schedule is also a great way to avoid cat sleeping pills. Cats are naturally sleepy after a good meal, so consider feeding your feline right before bed. This will also ensure that he doesn’t bug you for food in the middle of the night! According to studies, sleeping in cats is close to narcotic trance. Some cases (for example during transportation) demand from a pet owner to provide narcosis to the animal to save it from stress. In this case veterinaries offer buying effective sleeping pills for cats. In high doses, these drugs are used as a sleep aids and small doses as sedatives. Some sleeping pills for cats you can buy in vet drugstores, others from homeopathy specialists. It is very important to consult a doctor before giving any drugs to your pet – you can overdose and your pet will have side effects that can be life0threatening ones. Hypnotic effect of a cat can vary depending on its initial state. In small doses, it can help to resolve sleep in violation of falling asleep. To do this, use drugs a short action. For example, Etaminal Sodium and Barbamyl are very effective sleeping pills. If sleep is short-lived and not deep enough, prescribed hypnotics longer acting like – Veronal or Luminal. In addition, they are used for the treatment of insomnia, convulsions, as preparations for anesthesia. Etaminal sodium is a relatively low toxicity hypnotic also used as a sedative. But the frequent use of animal body gets used to it. Barbamyl as well as Etaminal sodium belongs to the second group of intermediate-acting sleeping pills for cats. It is great aid for insomnia, but do not give it to his kitty, without consulting with your veterinarian. Barbital Sodium is another preparation of the second group, its action comes pretty quickly. It is used as a sedative (very powerful sleeping pill for cats) before anesthesia and sedative neuralgia and nervous agitation. Chloral hydrate acts as hypnotic and analgesic. It affects the central nervous system, but does not excite the body. Ketamine is another popular choice when it comes to sleeping pills for cats. This is a strong sleeping pill. It has a powerful analgesic and anesthetic effect. It should be used very carefully. Can I Give My Cat Sleeping Pills? Most cats don’t have trouble sleeping, but if yours seems to be suffering from sleep deprivation you might have considered getting them sleeping pills. But this is a bad idea, especially if you are considering going into your own stash and giving them pills that are meant for human consumption. Cats do not adhere to the same sort of sleeping cycle that we do. They don’t typically sleep for eight hours straight once per 24 hour period. What they do instead is sleep for a few minutes whenever they get the notion. If cats were human we’d say that they are narcoleptic, and the phrase “take a catnap” is used whenever someone sleeps for just a few minutes. This can make it hard to diagnose whether or not a cat is having a sleep disorder. So the first thing you should do is take your cat into the veterinarian to see whether or not there really is a problem. They will be able to assist you in troubleshooting whether or not your cat is really having trouble getting the necessary sleep. That’s why it is important to make sure that you are documenting everything your cat does in the weeks prior to bringing them in. Note any dietary changes, or behavioral changes so you can bring these to the attention of the vet. Can I Give My Cat Sleeping Pills? Answer: No. From there the vet will make a determination as to whether or not your cat needs any form of intervention, or if they can be treated using natural methods. In no instance will they ever tell you that it is okay to give them sleeping pills that were prescribed to a human. Be leery of any person offering the advice that it is OK to do so, just tweaking the dosage. There is no dosage of human sleeping pills that is alright to give your cat. If you are considering giving them a sleeping pill to calm them down for a trip, or because there’s a thunderstorm, you should look at non-medicinal ways to soothe them, for example, something like a Thundershirt can give them feelings of security without doping them up each time they get excited or anxious. Cats are very sensitive to their environment, and even subtle changes can make a difference to the way they get on with their day. If you have recently changed their environment, either by moving, or simply by changing the location of their litter box, they may be trying to adjust to the way things are now. It could also be a new addition to the family, if you recently had a child, or if someone has been staying with you that normally isn’t there. Trying to make your home more comfortable for your cat is a good all-natural way to try to help them with their sleeping problem. You could also try getting them their own cat house so that they have a place that they feel comfortable and secure in. But most cats will plop down just about anywhere to have a quick snooze. If your cat usually joins you in bed when it’s bedtime, and you’ve noticed lately that they’re up and about when normally they would be sleeping, you can try to see if there is anything that has changed recently that might be setting them off. A cat’s diet plays a big part in their overall life, and if you’ve recently changed their food it could be resulting in feelings of restlessness, or perhaps they have indigestion. 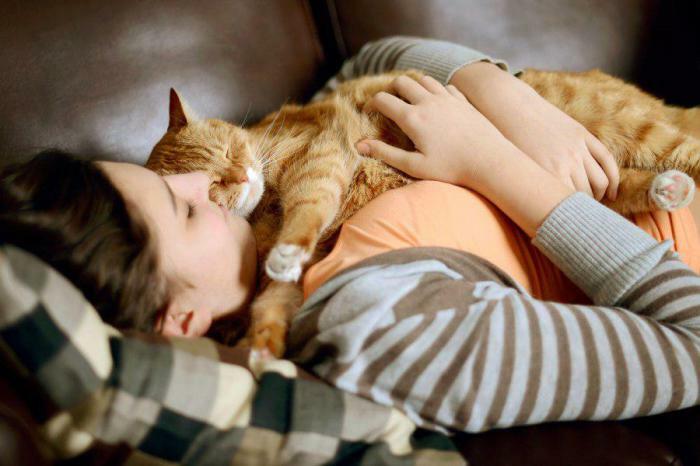 If your cat is otherwise healthy, they should be getting enough sleep on their own. It could be that your cat is sleeping when you’re not around to see. Just because they are not sleeping in their bed does not mean they are not getting enough sleep. Or perhaps they are sleeping plenty while you’re at work and they’ve taken on more of a nocturnal lifestyle. Either way, you don’t want to start drugging your cat just because you believe they aren’t getting enough sleep. It is really hard to diagnose the problem, especially if you are not a cat expert. Be sure to get a second opinion before you start giving them any sleeping pills out of your medicine cabinet. What sleeping pills for cats you can buy without visiting a veterinarian? Strong sleeping pills for cats are sold online because you can kill a pet by accident by mixing the dose in a wrong way. They are sold only by veterinary clinics and are used for their intended purpose – either for anesthesia or for sedation during painful procedures and the treatment of serious problems of the nervous system. They are used not only for long-term anesthetic effect in operations, but also in the euthanasia of animals. And most importantly – most of the hypnotic “human” drugs is harmful and can cause a lot of side effects, (people do not always have a positive impact, what about our smaller brothers). Do not need to expose the fragile health of your pet in danger. You can also check an option among natural remedies replacing sleeping pills for cats. Valerian is the best natural sedative for cats. The active substance is related to valerian feline pheromones during estrus. Sometimes after taking Valerian pills cats act like after taking Viagra. In addition, Valerian causes cats persistent addictive and dependence on the first try. Add to that the alcohol base tincture. Never give your cat valerian without urgent necessity. Often to avoid stress and behavioral changes veterinarians assign to cats taking catnip. This plant operates in cats as valerian, but is several times weaker. Many owners say their cats do not respond to the spray or the scattering of dried catnip. Although part of the caudate pet loves mint and starts pretty in her ride, this tool cannot be called soothing for the cat, it only changes its behavior.